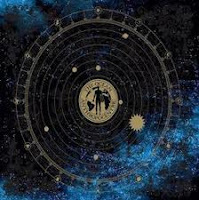 After my write-up of the superb Heliocentric, I was expecting something sonically akin to it with The Ocean's next release with mixed success. Anthropocentric, the second full-length release by the band, follows it's predecessor... sort of. While Heliocentric was a venture into the unknown, merging sounds and thoughts together in creative ways, Anthropocentric is more angry sounding, focusing more on the NWOAHM influences then anything else. While they do try to mix in songs into the mix, most notably "The Grand Inquisitor III: A Tiny Grain of Faith" which is beautifully haunting, they are just few and far between. While the album is still good - a really good collection of head-banging material - it isn't what I wanted following the wet-dream that is Heliocentric. By no means is this a bad album, I find myself jamming out to several of the songs, with no 'bad' songs to speak of, just a mix of 'good' and 'ok.' It's just missing the flare of the previous release. I'm sure if I had heard the albums in reverse order I would think it was a build up to greatness. But as it stands, the group hit it's peak, and are now on the way down the other side. Still high above the clouds of mediocrity, but no longer at the peak of awesomeness. Another quick article about a band I apparently don't know enough about. I'm going to give the rest of their discography a listen through, to better understand the group. Although from what I've read, the previous works sound more like the quintessential post-metal of which I am not a huge fan.